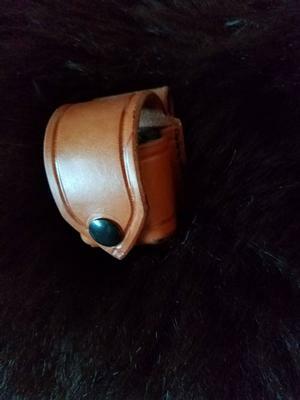 Leather speed loader/moon clip pouch. 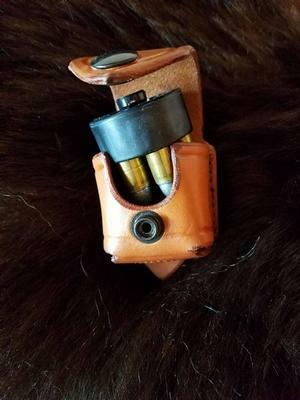 This is designed to hold one large HKS or *Safariland speed loader. It will also accommodate 2 45 ACP Moon clips (2 stacked in the compartment) Or one 357 x 8 moon clips. It is not intended for concealed carry. If you need to conceal a speed loader or moon clip, order our Split 6 pouch.